Jason Wagner, NARPM Affiliate and colleague with GDAA Property Management wants Owners and Tenants in Georgetown TX to know GDAA operates with integrity and takes care of their clients the way they deserve. Marketing Manager, Jen Sorenson speaks with Peter Hernandez about the safety and security procedures One Point Service Group provides GDAA tenants. To learn more about Home Security Statistics and Tips to Keep You Safe continue reading this article. In this video, Jen of GDAA Property Management talks to Peter of OnePoint Service Group. OnePoint Service Group is one of our strategic partners in ensuring your properties are safe, secure and up to current Texas property codes. According to Peter, safety and security are top priorities with tenants when they look for a place to live. Together, we work to make sure our clients' investments are as safe and secure as they come, so you as the tenant, won't have to worry about anything. Anything that isn't working properly will be replaced. Here at GDAA, we want to make sure you enjoy living in our rental properties and want you to stay for as long as possible. We ensure that we not only serve our owner clients well, but also their tenants. If you're looking for expert property management services or want to check out available #GeorgetownHomesforRent, please don't hesitate to give us a call or visit our website. Thanks for watching! 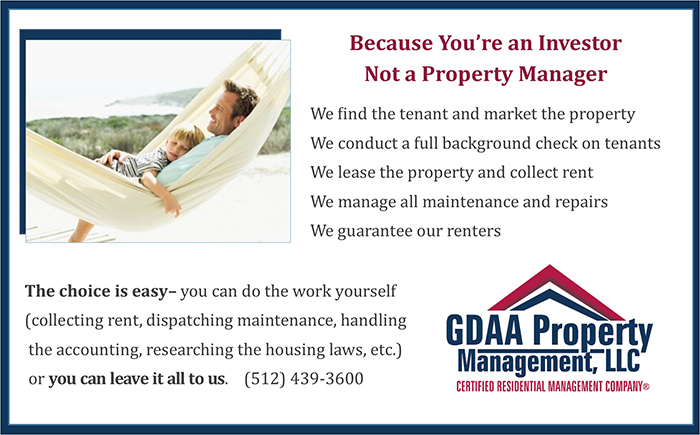 Experience only the best and professional property management in Georgetown TX with us at #GDAAPropertyManagementLLC! Learn more about us and our services at http://www.gdaapm.com/georgetown-property-management. Your reviews help keep our business thriving. Please take a moment and share your experience at https://plus.google.com/+GdaapmPropertyManagementRoundRockTX. The #NARPMCentralRegionEducation offers exceptional education courses that are essential to your professional performance and advancement. NARPM offers courses taught by experienced educators who are active NARPM members and principals in their own property management companies. They also bring practical knowledge to the classroom to enhance the learning process. As the Central Regional Vice President for #NARPM, we are here to talk about the value of TAR, or the Texas Association of Realtors to property managers. With me is my friend and most-of-the-time mentor Mike Mengden, who is also the owner and operator of Terra Property Management here in Houston. Mike has been a member of the Forms Committee of TAR since 2005 and according to him there are many reasons why realtors should find TAR valuable to their business. First off, is the type of relationship TAR has with realtors that is unique in the state of Texas. Second, there are the phenomenal forms that the TAR made for the use of property managers that has helped them write better leases and better management agreements, in addition to write better things that help protect the realtors, their clients, the tenants and the public. Mike also states that the TAR has the strongest political action committee in the country for real estate. We're very tuned-in legislatively so when we have issues that we need to bring on a state level, we can go to the TAR and rely on them to take care of it according to legislature, whether it is to promote or stop something, including change existing legislation that's going through the state house right now. All in all, the TAR helps ensure that we, as property managers have better business practices to protect our clients, ourselves the tenants and the public. You can register for this and other educational offerings by GDAA Property Management by visiting our website and selecting Education under the Agent's Tab. Establishing great communication is important from the start, even when someone is still a prospective client. GDAA will help you avoid stress, land profitable deals, and keep you out of legal trouble. continue reading this article to learn more about how we work for you. 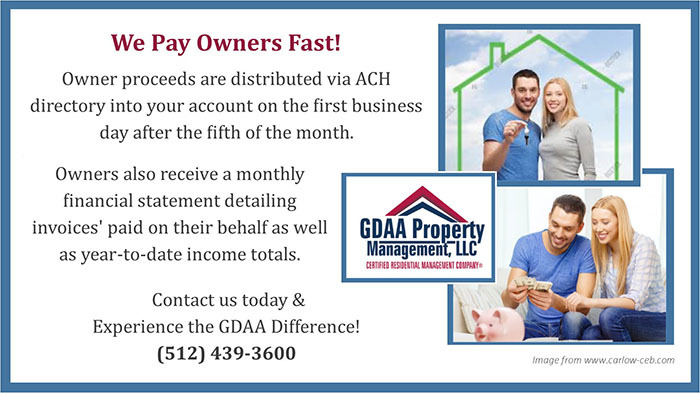 GDAA Property Management in Round Rock TX Pay's Owners FAST! It’s your money and we take it seriously. We have streamlined our processes to ensure fast and efficient owner disbursements. We believe there is no reason for owners to have to wait to get paid. So, Why does it take other Round Rock TX management companies so long to pay their owners? Continue reading to learn more about the GDAA difference. Qualifying Your Renters in Kyle TX, It’s Not All About the Score! Qualifying your tenants is probably the most important aspect of managing your properties in Kyle TX. If you do it right at the beginning, it will keep you less stressed during the time the renters are occupying the property. 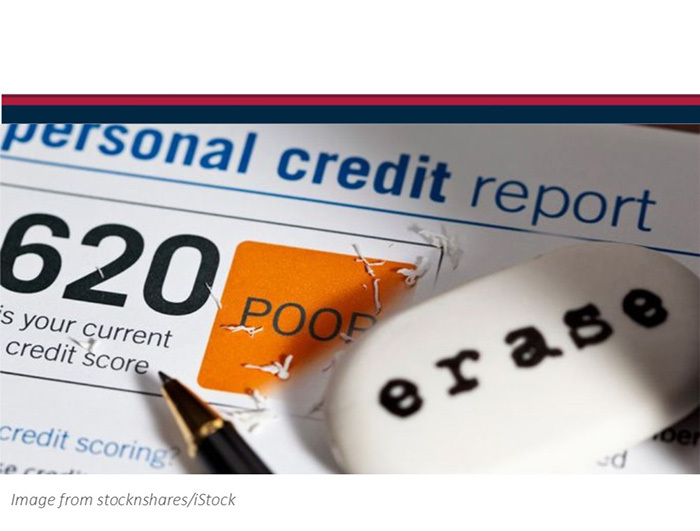 But, is eliminating a potential renter, due to a low credit score, the way to do it? Check out GDAA's Leasing Criteria, and continue reading this article to see what other things you may want to take into consideration. Marketing Manager Jen Sorenson speaks with Heather Nicely from Super Tenders about the value their business partnership provides GDAA Clients in Georgetown TX and other locations. When it comes to business partners, we work only with the best to provide owners and tenants the best services. In this video, Jen Sorensen of GDAA Property Management talks to Heather of SuperTenders about the value of this business partnership. SuperTenders has been working closely with us for five and a half years now, taking maintenance calls for us 24/7, including emergency calls. They have made our lives easier and less stressful with their quick and efficient service, getting all tenants' calls answered by a team of friendly and professional experts who can walk a tenant through anything--from how to shut the water off to resetting the circuit breaker. When a water main breaks for example, every minute is critical to mitigate the damage and SuperTenders have got this covered, so much that you don't need to leave voice mail messages or wait too long for it to be resolved. We always have your safety and happiness on our minds, so we make sure we don't settle for anything less than the best. We work with partners who want to take care of your investment as much as we do. This work ethic has resulted in a lot of satisfied clients and more long-standing working relationships. So if you want to experience expert and trustworthy property management services, or to check out available #GeorgetownHomesforRent, please give us call or visit our website. Thank you for watching! Once you have invested in a rental property in Georgetown TX, the responsibility of maintaining and running the property can quickly become overwhelming. For many owners, the logical solution is to hire a Residential Property Management company to oversee their rental property. Continue reading this article to discover the top 10 reasons why you should hire GDAA Property Management and how the benefits far outweigh the costs. 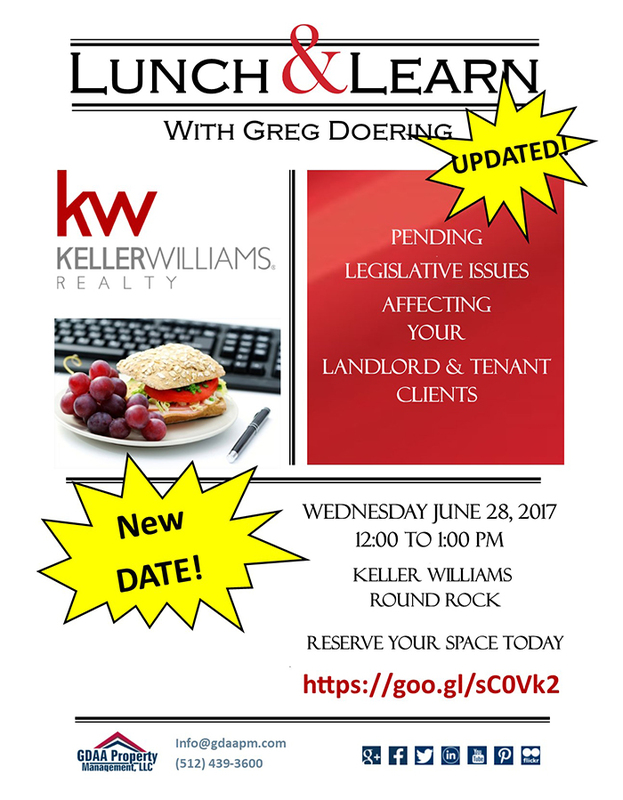 GDAA Property Management Owner/Broker Greg Doering shares tips for Agents selling a property with a tenant in Round Rock TX and other locations. In this video, Greg Doering, owner/broker of GDAA Property Management, gives five tips about listing agents selling property with an existing tenant--how to make the transition a little smoother and how to close the sale easily. The first thing is to call the tenant and remind them that the lease is still enforced for the duration of the terms. You also need to assure them that even though the owner is selling the property, they don't have to move out or that the terms of the lease are going to change. Reminding them of this makes it emotionally smoother for both the tenant and the buyer. Your next step would be the transfer of the security deposit. First, make sure you have an accurate accounting of the security deposit, so that it smoothly and easily transfers to the new buyer of the property. This is to avoid any problems when the time comes for the current tenants to move out. Nobody has to scramble trying to find out where the security deposit is or how much it is. You will need to disclose as well, the amount you are transferring. The third step, is the pro-ration of rent. The way it works is you take whatever is the applicable amount depending on what the closing day is: for example, you have a $1,000 rent, you divide that by 30, but if it's the 15th of the month, you only take half. So basically, the owner gets part of the rent up to the day of closing, and the new buyer receives the remainder of the rent for the month. You just need to make sure you know that amount ahead of time. Relaying the new owner contact information to the tenant is the next step. They need to know who they need to pay rent to, who's holding the security deposit, and of course, who to call when there's a maintenance issue. This helps in facilitating the timely collection of rent and the resolution of maintenance issues. The fifth and final step is all about documentation. This includes a copy of the lease, since everyone should know the full terms and conditions. This is to avoid any confusion with the buyer, who is the new landlord and the existing tenant. The application as well, should be transferred to the new owner for legal reasons, and also to have it handy in case the new buyer needs it down the road. There should also be a full record of accounting for the tenant's protection and again, we emphasize the importance of transferring the security deposit. We hope these tips help you a lot. If you are in need of excellent property management services, sage property management advice or want to check out our available #RoundRockHomesforRent, please give us a call or visit our website. Thank you for watching! 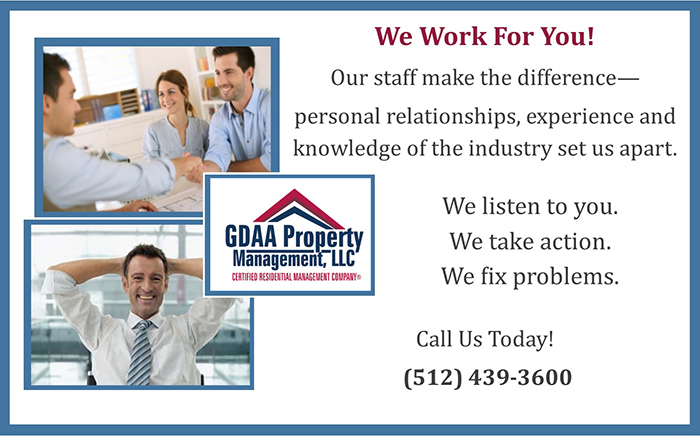 Experience only the best and professional property management in Round Rock TX with us at #GDAAPropertyManagementLLC! Learn more about us and our services at http://www.gdaapm.com/round-rock-property-management.